Who is Zahi Hawass…what is he? 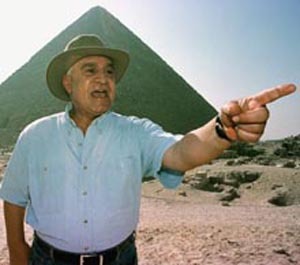 Put Egyptologist together with a man, and you get Zahi Hawass. Meeting a man who has dedicated most of his life to his love – Egypt and its antiquities – one would expect to find a happy and contented man. A celebrity on tvs around the world and on You Tube, Mr Hawass is hard to ignore. He is lively, cheerful, full of stories about his work and speaks with a charming Egyptian English. And Mr Hawass was (is?) a very good friend of Mohammed Hosni Mubarak (see link below – The Last Pharoah and His Vizier). We should not hold that against him, as any patriotic loyalist would extol his leader. Yet Mr Hawass seems to leave a shadow where shadows should not exist, under an Egyptian sun. He seems to continually rub people up the wrong way (not liked by the Egyptian Syndicate of Tour Guides) and many have gone far enough to speak openly about their opinions on a man who holds much treasure in his hands. But much treasure seems to go missing. One could argue that Mr Hawass’s lack of co-operation and denial of international public statements about the Egyptian artifacts and sites – even his mis-information – may be a fearful possessiveness about his country’s historical treasures, seeing that the original explorers and archaeologists were mostly foreign and took their discoveries home. 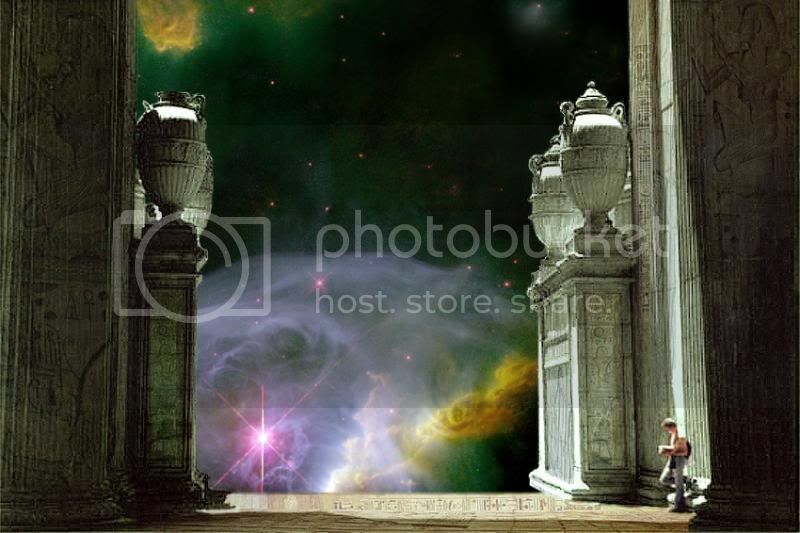 (The arguement for this is that the treasures are safer there than in Egypt). And trading historical artifacts illegally in the Middle East seems almost an honourable profession when one knows the extent to which this happens. Indeed, many important finds that have come to the world’s attention have been found this way, namely some of the Papyrus Scrolls of the Dead, the Dead Sea Scrolls and the Sumerian Texts. But lost treasures should be found, not lost after they are found. Yet lingering behind Zawi Hawass’s broad smile there is something that leaves one with questions, not answers, to some Egyptian enigmas and mysteries. Recent work done by some very intelligent writers, scientists, explorers, archaeologists and investigators, has all been an uphill struggle when it comes to seeking compliance and assistance from Mr Hawass. Apart from the latest news press on the common looting after the revolution, there is one journalist, Philip Coppins, who writes eruditely and in detail on the subject of Egyptian archaeology security and transparency. The Egyptologist, the Sphinx and the Cover-up. Latest news – March 30th 2011 – Hawass is appointed as Minister of Antiquities. In his new position, Hawass has launched into action by calling for ‘armed guards’ to re-inforce security. 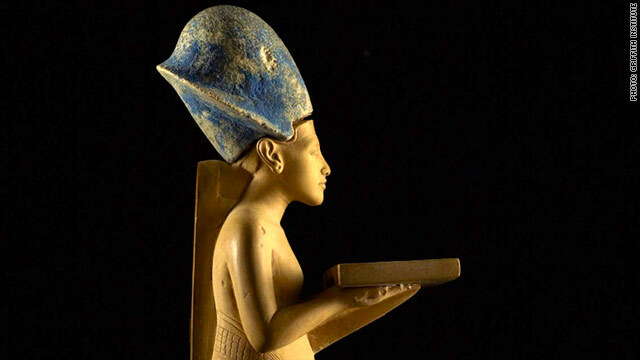 This entry was posted in Uncategorized and tagged Egypt Minister of Antiquities, Egyptologist Hawass, Missing Egyptian artifacts, Philip Coppens, Zahi Hawass. Bookmark the permalink.